How to make a script that press a button scheduled time on a website(like pg down or space)? How does google chrome browser internally work while downloading and processing images? 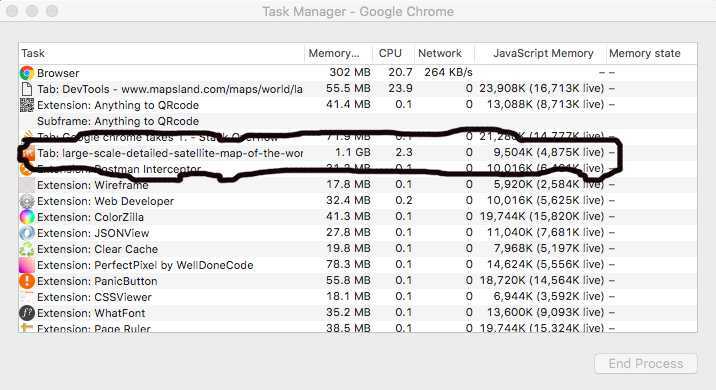 I couldn't figure out any reason for such high memory consumption. Neither what chrome internally does that consumes such huge memory. I'm looking for any relevant answer or blog which can help me understand the internal architecture or design which guides chrome to behave such a way. JPEG is a compressed image storage format. For displaying the image, an application has to uncompress it in memory. A reasonable expectation is 4 bytes per pixel (one byte for each color channel), so your image takes 24000*12000*4 bytes = 1.07 GB. I want to insert several online images into my HTML file. If I click the URL inserted, I can see images. However, when the URL is in src, no image would appear. I tried to use local images, however, I used a flask template, the local file wouldn't display either (the relative path is correct since if I use the path in a simple HTML file without the template, everything is just fine). How can I insert my images successfully? 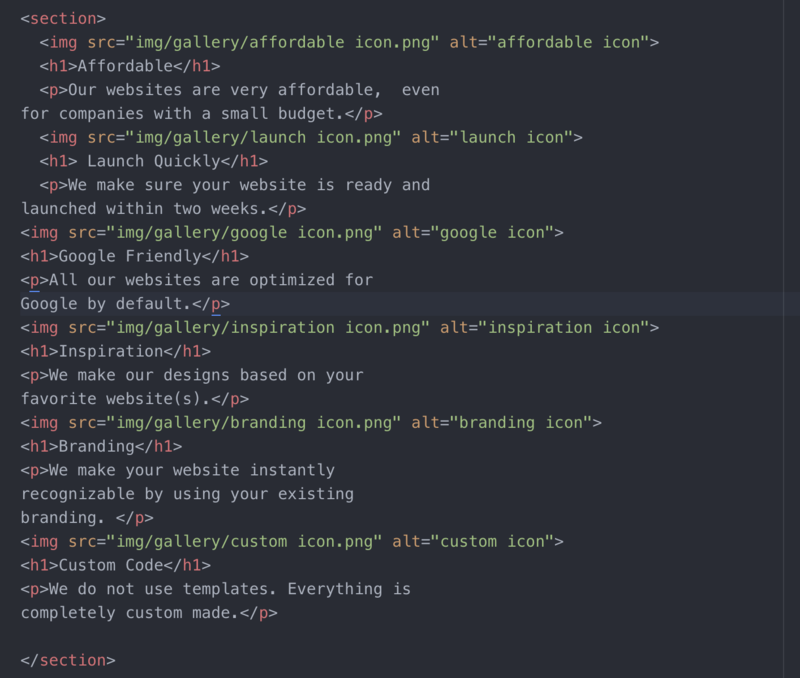 When I export my code out of atom and open it in google chrome using the html file, it shows image icons where the images should be placed. I have checked the folder names and made sure all of the spelling was correct but still nothing. My images are in folders that go dev --> img --> gallery or header. Our websites are very affordable, even for companies with a small budget. We make sure your website is ready and launched within two weeks. All our websites are optimized for Google by default. We make our designs based on your favorite website(s). We make your website instantly recognizable by using your existing branding. We do not use templates. Everything is completely custom made. I am trying to work on a memory leak issue. I was analyzing a heap dump and I found that some of the JSPs are using around 51 mb of heap space. Could you please let me know what could be the possible reason. Please find below screenshot of the dump. However while trying to allocate nonpaged memory pool more than 2047 MB below code print “2048 MB NonPagedPool memory is not allocated.” in debugview. Why? Please help!! Solution which I already tried. Checked Maximum limit of paged/nonpaged pool through windbg "!vm extension" command; how much nonpaged memory is currently in used through task manager. Tried all relevant function to allocate memory which are MmAllocateNonCachedMemory, MmAllocateContiguousMemorySpecifyCache, and ExAllocatePoolWithTag. Tried to allocate paged memory above 2047 MB but failed. Consider a system in which the virtual address space is 64 bit, the page size is 4kB, and assume that an entry of a page table requires 4 bytes. The total amount of physical memory in the system is 1GB. I stream on youtube and I have OBS Studio which has a built-in browser. I would like to know what is a suitable code if I want to have a pressed space button in every 20 seconds on that website automatically? Has anyone encountered a Google user authorization? Since june 2017, it is required to open the authorization page in the system browser, TWebBrowser is not suitable for this - it gives an error 403 disallowed_useragent. The solution to the problem seems to me to embed the browser page in my application, but I cannot figure out how to implement it (and whether it is possible). I have input element which will take input and filter the contents and the filter event will be trigger once the user gets focused out from the input element. When the user having the focus in the input element and he clicks in one of the button, the click event is invoked first and then the focus out event, as it creates conflicts while generating the filtered content. Could someone help me to build The FocusOut event to trigger first and then the click event. I found if the following code run in main thread it works, when run in other thread, the scope is empty, and even we create a new v8 isolate the Nan::EscapableHandleScope scope will crash. Wonder why is this? I slightly modified the hello-world.cc sample, importing some code from d8. Then, using websocketpp and asio, I added a WebSocket Server to the program. Also, I used V8 inspector from an embedder standpoint to add a simple implementation for the inspector protocol back-end. My problem: in CDT, the Sources tab is empty (and therefore, I can't try to put a breakpoint). We have two arrays of primitives (let's say numbers). There are countless ways of doing a shallow compare between them. Which one is the fastest? 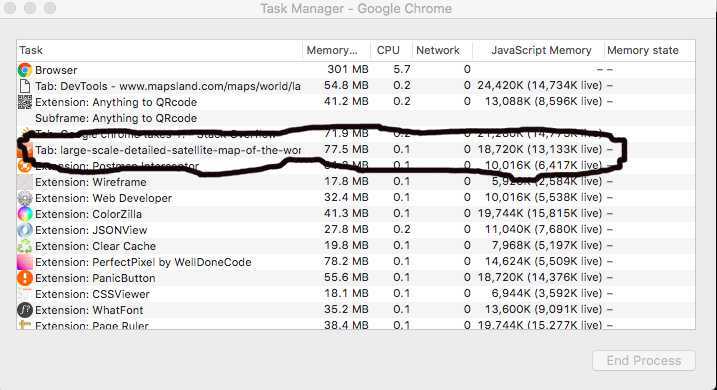 Let's assume V8 engine under latest Google Chrome. Is there any benchmark that exists already?